Although we just started Project JellyBean on May 1, 2018. It has already started to make a huge impact. I can't say for sure how much of an impact it has had on Avery, but I can say the impact it has had on me. 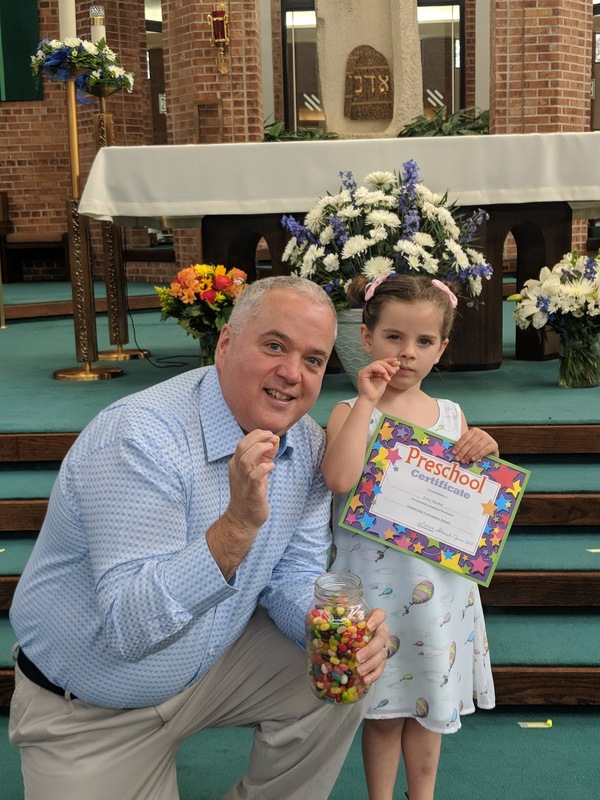 As a matter of fact, Avery has yet to miss earning a JellyBean. She has come close a few times but if she starts moving in a direction that we question; all we need to do is say the two simple words "No Jellybean". Those two words snap her back in line. It happens so fast it is amazing. Even more impressive is the degree that she openly shares her opinion on my actions. She is very quick to question if I should have a jellybean that day. There have been a few days where I haven't mostly due to not being in town but usually more about just not being fully present. So I guess I can say that it has had a positive impact on her. Yet the bigger impact that I can attest to first hand is the impact that it has had on me. I am a person who loves his work. I love to do the work I do. I enjoy being accountable to my team, my clients, and company. Today we had a very important meeting scheduled with the University Maryland at College Park. They are obviously a great school and would make a wonderful client. We have had to reschedule the meeting a time due to scheduling conflicts a few times and it just could not be moved again. So the pre-Jellybean me would have been at the ceremony without a doubt. But that version of my mind would not have been as excited to go to a silly as pre K graduation. I would have felt that it was an annoyance to miss work for this. I mean in the big picture it is only pre-K. My pre-Jellybean mind would have been preoccupied with the items I wanted to "knockout" before the Graduation and stressing about falling behind. Frankly, I just would not have been as "present" as I should be. But guess what filled my mind as I got up early and got that work done. Earning my Jellybean. 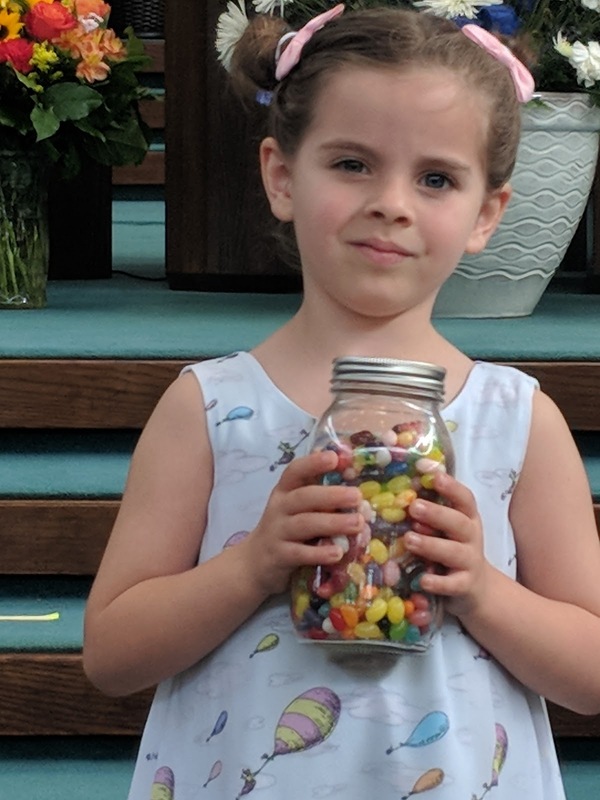 I as went to the church for the ceremony I was holding a Mason Jar of Jellybeans. Of course for Avery's sake, the jar was hidden in a bag. Yet as I went through the Ceremony and I did not think about work once. I was focused on the event, which the Pre-Jellybean me probably would have been also once I got to the event. But after the ceremony is where the Jellybeans really made an impact. My plan for after the ceremony was to race back to work and finish prepping for the meeting. But my 80+-year-old dad said, "let's all grab an early lunch". I immediately snapped no way, I am not retired like the rest of you, have a job to do. I have a really big meeting coming up and I would love to but I can't. Then I heard the jellybeans rattle in the jar. As Avery and I were taking our Jellybean for the day I realized not going would not be a jelly bean worth decision. So I told them what to order and I stop back to and assured I was prepped for the meeting. I then met for a family for lunch. Was I as present at lunch as I should have been? NO, of course, I did some work and took a call and bearly got to socialize before racing back to be ready for the meeting.